As much as we don’t want to admit it, winter is in full swing. While you might think you need to compromise on style to stay warm, we’re here to tell you otherwise. We’ve sourced six pairs of winter gloves that are as functional as they are fashionable. Why not add a vintage vibe to your cold weather wardrobe this winter? 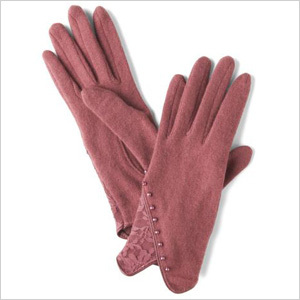 We love these rose-hued wool blend gloves with pretty lace and bead details that give them a vintage twist (modcloth.com, $25). Not only will they keep your hands warm, they go well with any length and style of coat as long as it’s a solid color. 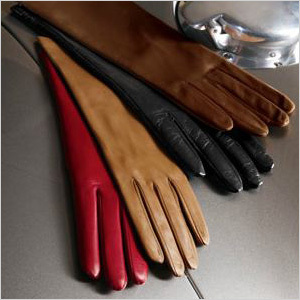 Leather gloves never go out of style making them a no-brainer when it comes to keeping warm. We’re currently coveting these ones in black with a chunky zipper detail at the wrist (topshop.com, $48). They’re warm, versatile (seriously, wear them with anything) and the zipper adds some edge to the otherwise simple design. 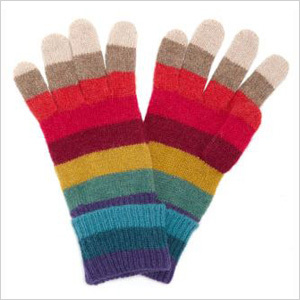 Dress up a neutral coat by pairing it with some brightly-colored winter accessories like these cute striped gloves in a rainbow of bright stripes (accessorize.com, $6). We love the playfulness of all those vibrant colors and the fact that they easily brighten up any coat you’re wearing. While we love to stay warm, wearing bulky gloves can make it tough to text. 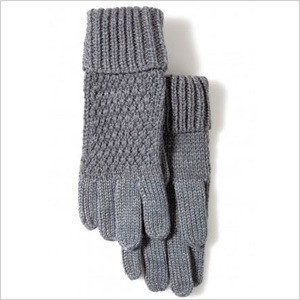 Stay in touch and avoid frostbitten fingers with this cool pair of gray wool blend gloves that allows you to easily use your touchscreen (scoopnyc.com, $70). Silver fibers woven through the fingers are what make it possible to text and they also add a hint of sparkle. Sometimes you want to dress up your winter look rather than get lost under all those layers. 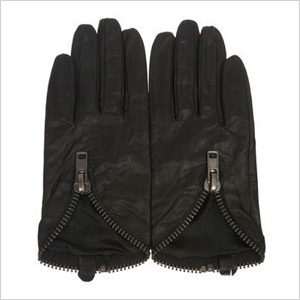 Start the streamlining process with these sleek, stylish leather gloves with ultra-soft cashmere or silk lining for added warmth and comfort (bergdorfgoodman.com, $83). Choose from four chic hues including tan, red, black and brown. No matter what color your coat is this winter, you can rest easy knowing this cozy pair of Marc by Marc Jacobs color block sweater gloves will keep you warm in style (shopbop.com, $48). 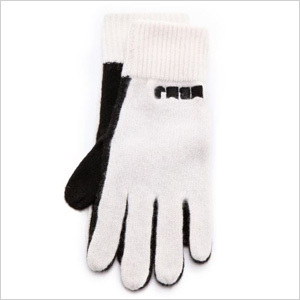 The black and white gloves offer a timeless way to keep your hands toasty all season long.